Here is my permanent 2015 Calendar page. 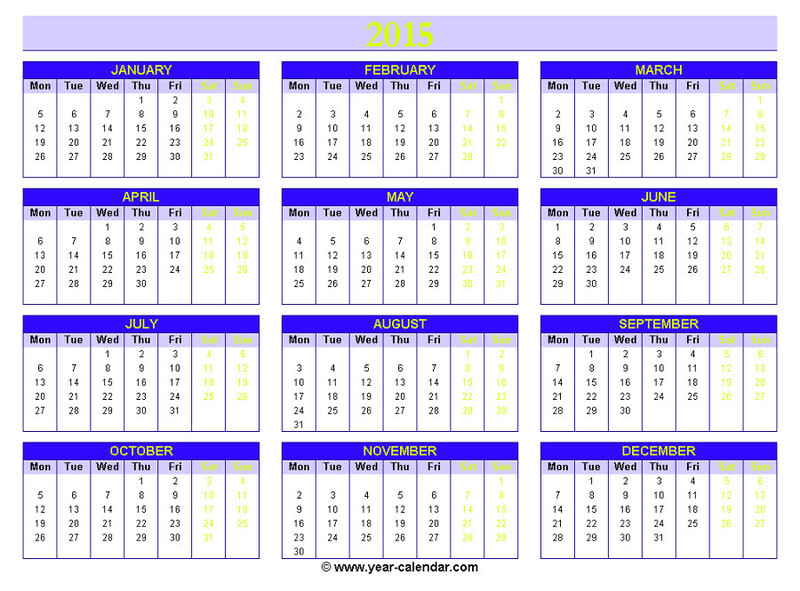 This 2015 calendar is free to use, so please feel free to print or download and use it to plan all your 2015 holidays, activities, birthdays etc. Other 2015 calendars will follow and there will also be calendars of 2016 and 2017 too. So please link to this page so that you have access to totally free calendars.